Unani (in Arabic, Bangla, Hindi, Persian, Pashtu, Urdu, etc) means "Greek". It derives from the Greek word Ionia, the Greek name of the Asia Minor coastline, from the Arabic word. It is used to refer to Graeco-Arabic or Unani medicine also called "Unani-tibb", based on the teachings of Hippocrates, Galen, and Avicenna, and based on the four humours: Phlegm (Balgham), Blood (Dam), Yellow bile (Safra) and Black bile. The Unani system of medicine originated in Greece during 460-377 BC, and was brought to India by the Arabs and Persians. The Unani system makes use of plants, minerals and animal products as curative agents to re-establish the person's original humoral constitution. 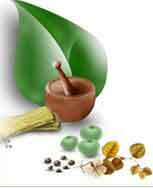 Unani Medicine was developed into an elaborate therapeutic system by the Arabs. Remedies include herbal concoctions, diet control, physical exercise and some other curative agents.